In a jolt to Samajwadi Party chief Akhilesh Yadav's plans to construct a heritage hotel in posh Vikramaditya Marg, the Lucknow bench of Allahabad High Court on Saturday put a stay on further construction on three plots owned by either Samajwadi Party, Janeshwar Mishra Trust or the Yadav family. The court directed the top authorities to photograph, within 24 hours, whether illegal constructions were going on these plots and furnish the report on the next date of hearing on September 5. 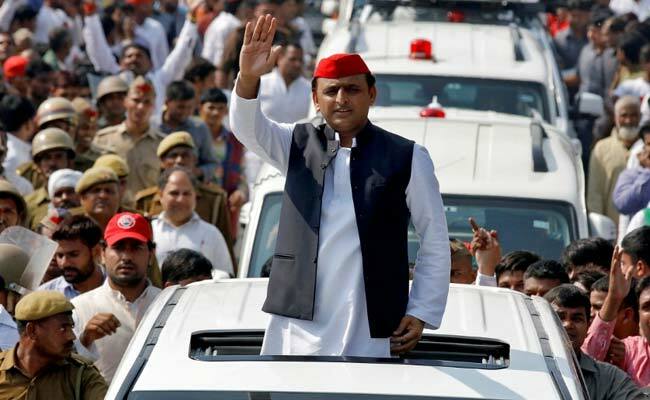 It also issued notices to Samajwadi Party, Akhilesh Yadav, his wife Dimple Yadav, Samajwadi Party supremo Mulayam Singh Yadav and the Janeshwar Mishra Trust and sought for their response by September 5. A bench of Justice Vikram Nath and Justice Abdul Moin passed the order on a public interest litigation moved by lawyer Shishir Chaturvedi. The petitioner had questioned the constructions on the three plots and sought quashing of the orders whereby the Yadav family, Samajwadi Party and the Janeshwar Mishra Trust got permission for the same. Considering the very nature of public interest in the matter and the fact that such PILs are often withdrawn for different reasons, the court discharged the petitioner and decided to take up the petition suo motu. On a complaint of receiving threats after filing the petition, the court directed the principal secretary (home) and UP DGP to provide security to the petitioner, his family and the properties if so required. "The newspapers are repeatedly publishing the news that the High Security Zone/VIP Zone in and around Kalidas Marg, Vikramaditya Marg and Gautampalli at Lucknow is being compromised as illegal construction activities are going on and without sanction of the state government or due approval of Building Plans from the Lucknow Development Authority," the court said. "The land use of certain bungalows is being changed for vested interests and to set up party offices. The party leaders are requesting to build hotels in the said VIP zone and some multi-storey building is coming up against the permitted height of constructions, for which as per the sweet will of the prevailing governance, the norms are being changed for no good or sound reasoning," it said. "This VIP zone caters to the residences of chief minister, chief secretary, chairman of Board of Revenue, judges of high court, cabinet ministers and IAS officers. If such activities are permitted in this zone apparently it cannot be said that it would be safe and secure nor would the life of the residents of the area be peaceful," the court observed.